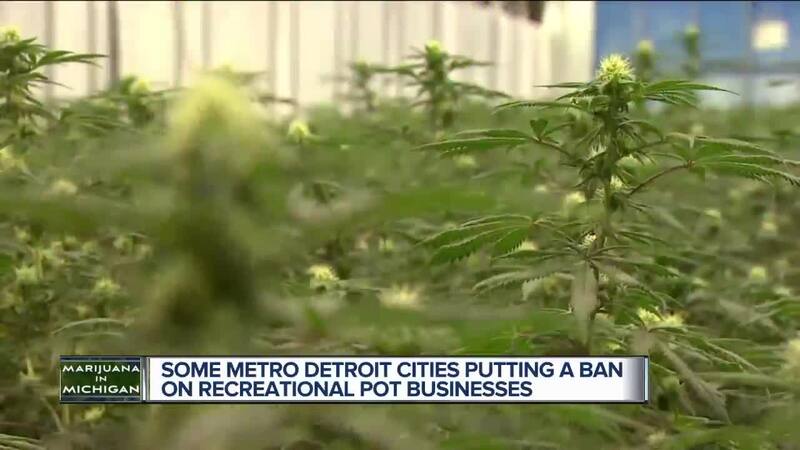 From Royal Oak to Windsor, the rollout of legalized marijuana means lots of changes. In Royal Oak, they’re not quite ready to treat marijuana the same as alcohol, even if the people have given pot the green light in Michigan. Some people have offered strong opinions following the passing of an ordinance in Royal Oak that says no to marijuana shops opening up. From Royal Oak to Windsor, the rollout of legalized marijuana means lots of changes. In Royal Oak, they’re not quite ready to treat marijuana the same as alcohol, even if the people have given pot the green light in Michigan. Some people have offered strong opinions following the passing of an ordinance in Royal Oak that says no to marijuana shops opening up. “It should be the same as liquor stores since the people have spoken,” says opponent of the ordinance Alisa Lester. Royal Oak City Commissioner Pat Paruch tells us the ordinance is not meant to last forever. “It’s more of a way to give us time to determine how best to regulate things down the road,” says Paruch. Other cities such as Brighton have adopted similar ordinances. Yet, in Windsor, there are some similarities such as sales being done online. Despite all of Canada legalizing marijuana, each province has set its own rules for sales. As for traffic accidents and other crimes, police report there has been no rise in illegal activities.